I love living amongst the city's greatest bakeries. Fitzroy St, in St Kilda is riddled with them. I mentioned in a previous post that I lived above a bakery. It actually gets better than that. I live on Fitzroy St, St Kilda. 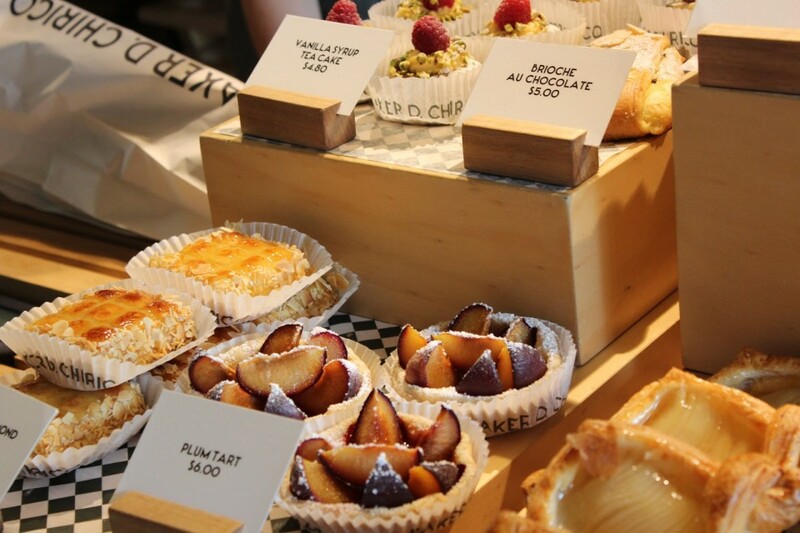 The area is riddled with fabulous little eateries and chic boutiques. Being in a relationship with a Frenchman has opened my eyes (and increased my waist line) to the wonder that is the Boulangerie. 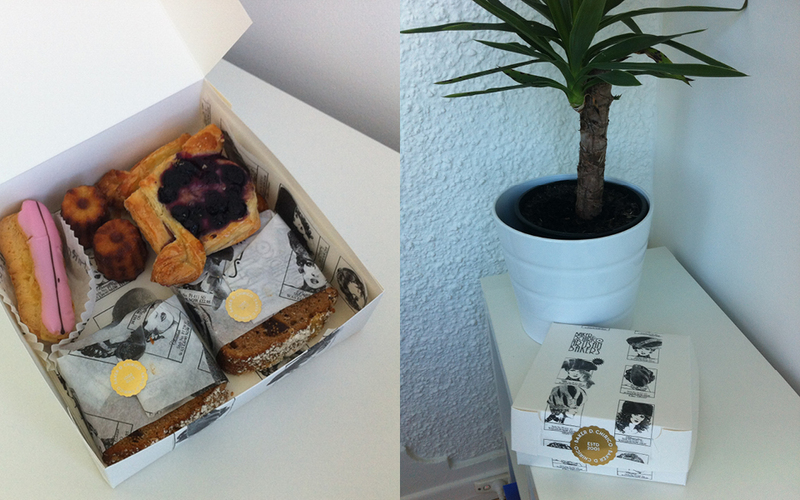 After our trip to Paris I was convinced that Australia’s bakeries were sub par until we moved to Fitzroy St, Melbourne. The French invasion has been a welcome one! My idea of a starting the perfect weekend includes a quick stroll to the local bakery, picking out a selection of favourites then firing up the Nespresso machine and venturing forth onto the balcony with a tray of treats, a good design mag and Remy (with his latest fleabitten issue of the Economist… Sidebar: I sometimes think the only thing economical about the Economist is its paper quality). 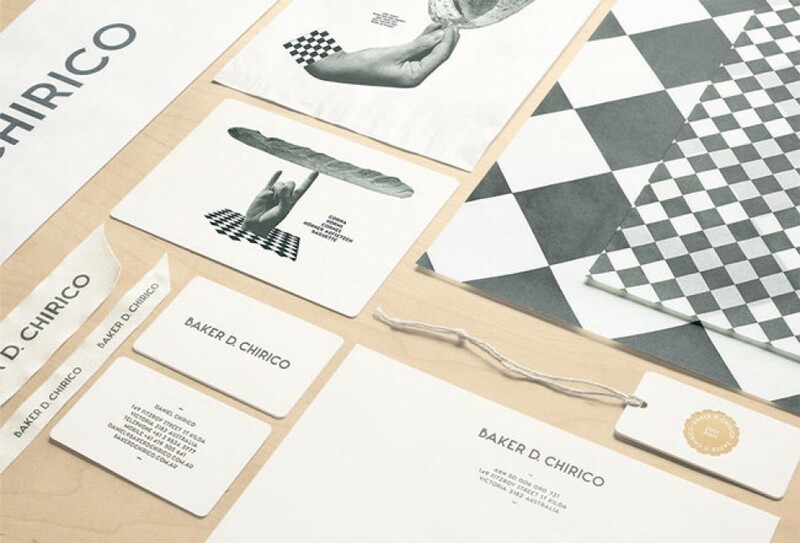 I’m a sucker for good branding, so a huge shout out goes to Baker D Chirico. Their branding is a perfect encapsulation of French whimsy. 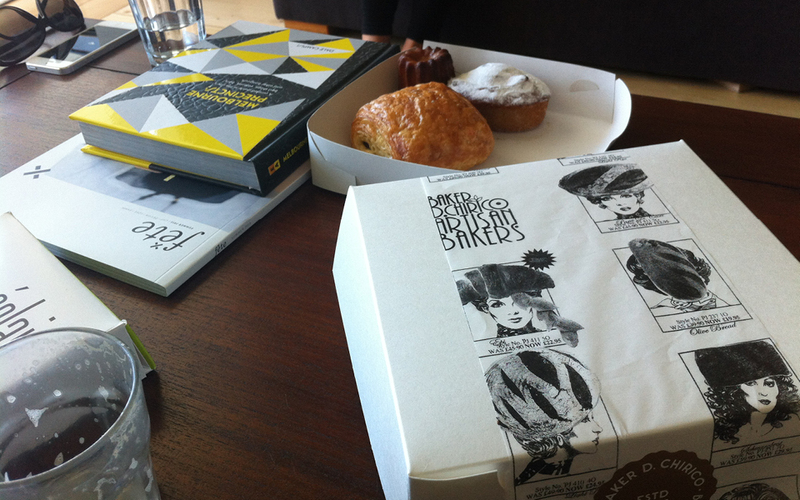 The packaging is lined with old time sketches of fashionable women wearing a multitude of different bread shaped hats. Whoever thought wearing a loaf of sour dough on your head could be the height of chic?! But its adorable. Any bakery with such branding wit gets my approval regardless of baking skill which, luckily for them, is also of superior quality. 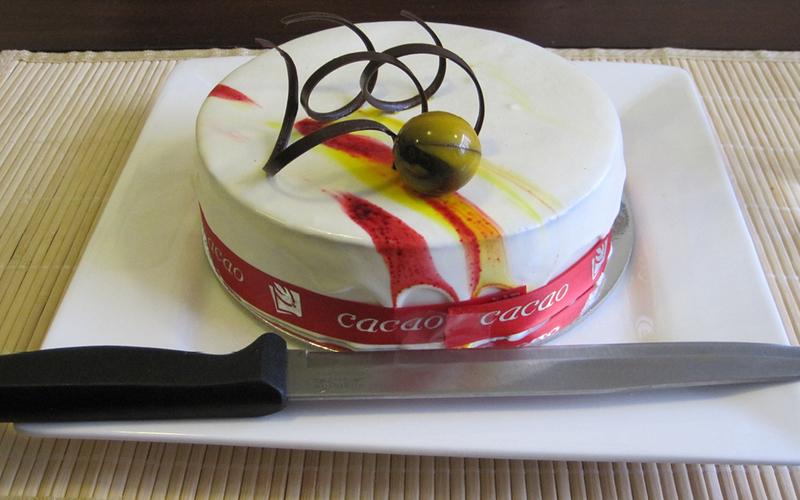 My favourite Chirico pastry is their Cannelle. Soaked in rum, these delightful little cakes are soft on the inside with a chewy crust that is the perfect accompaniment to a frothy coffee. Remy loves Cacao‘s box of eclairs. I struggle to eat more than one but I do like to look at them. 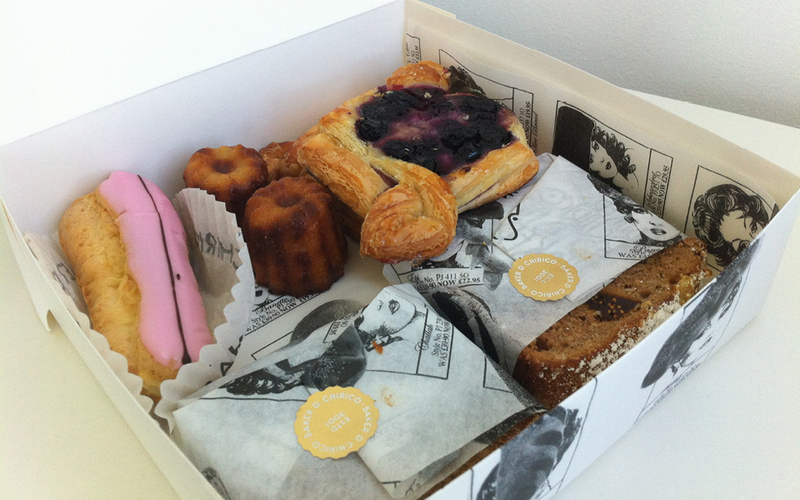 The box assortment is like a Marie Antoinette worthy piece of art. 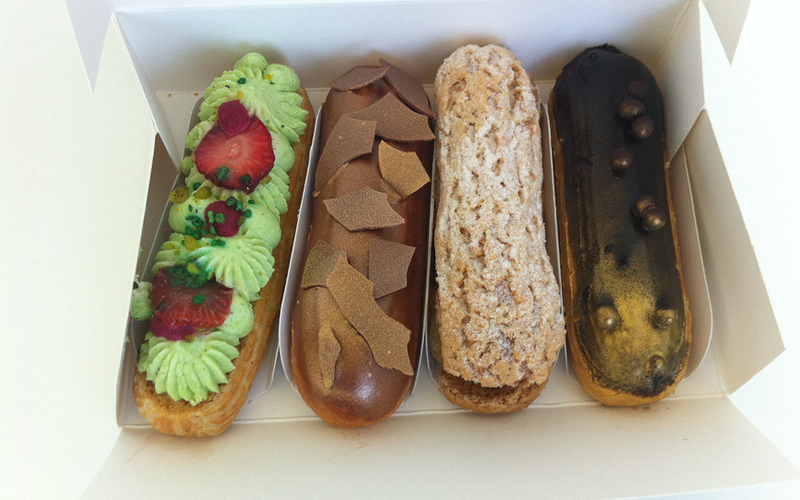 Let them eat… Eclairs.